Jeep and the USO have launched a new campaign to address the special needs of returning service men and women and their families. Jeep will contribute more than $1 million in funding and vehicles to the USO to be used in programs that directly aid military members and families in their efforts to re-acclimate to civilian life. Now through Monday, May 27, the brand will donate $1 for every person who pledges to join the movement and tweets about their efforts using the hashtag #joinOSR. Jeep has a long history of military service and support, beginning in 1941 when the Army requested a vehicle. Interesting fact: in 1943, the Marine Corps awarded a Purple Heart to a heroic Jeep 4×4 vehicle named “Old Faithful” for its role in combat during World War II. 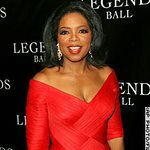 A broadcast spot featuring the voice of Oprah Winfrey debuted during Super Bowl and can be viewed at the Jeep brand’s website. The spot expresses the sacrifice of military men and women and how we, as a community, can embrace and honor their safe return. On February 6, 2013, Jeep brand will host a “day of service” at the USO’s Warrior and Family Center at Fort Belvoir (Virginia) in which its employees from across the country will descend upon the center to volunteer their efforts and serve the troops a dinner created especially for them celebrity chef, John Besh. The Warrior and Family center features a state-of-the-art kitchen that was named after the Jeep brand. For more information, please visit www.jeep.com/OSR.